O'Donnellan and Joyce is offering for sale by private treaty a four bedroom semidetached family home located in the popular and sought after residential development of Ashleigh Grove, Ballymoneen Road, Knocknacarra, Galway. The estate was constructed in the mid 1990s and comprises a mixture of three and four bedroom detached and semidetached homes. 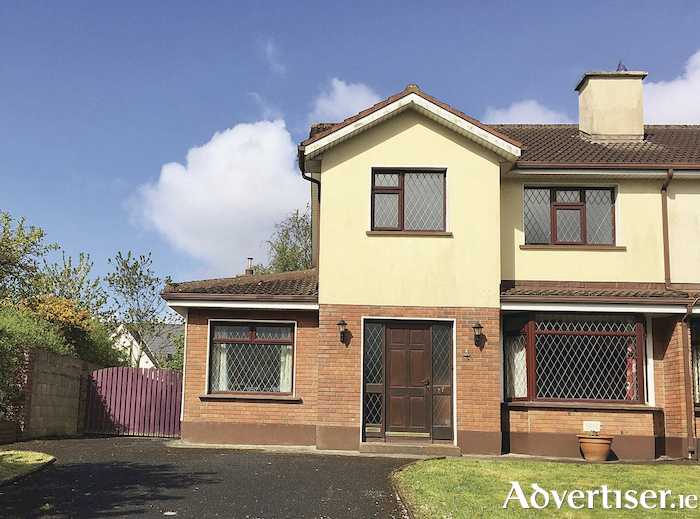 In terms of location, this property has all that one would require and is ideally located within walking distance of the new Colaiste na Coiribe and Knocknacarra National School. It is also close to the Clybaun Hotel, Sheridans Bar & Restaurant, Joyce’s supermarket, Salthill Promenade, Silverstrand beach, and Barna village. Galway city centre, NUIG, and UHG are just a 10 minute drive away. No 77 Ashleigh Grove is a bright and airy home with a single storey extension suitable for an office/study or playroom. The property is situated in a quiet cul de sac within the development. The accommodation includes an entrance hall, lounge room with open fireplace, and an open plan kitchen/dining room. A downstairs toilet, separate utility room, and an office/study/playroom completes the accommodation on the ground floor. Upstairs there is a main bathroom and four fine sized bedrooms, the master of which is en suite. Outside the property offers ample off street parking, a wide gated side entrance, and a private rear garden with decked patio and a standalone steel shed. The property is also located on an excellent road and bus network, bringing all of Galway's amenities within easy reach. There is a bus service to the city centre with a bus stop located near the entrance to the development. This property would ideally suit an owner occupier or investor due to its convenient location. Viewing is highly recommended and guaranteed not to disappoint. The BER is C3. Asking price is €300,000.